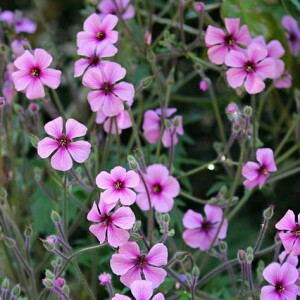 Geranium is one of the well-known and beautiful plants in room and landscape gardening cultures. At once it should be noted that in the family of Geranaceous there are two sorts – the Geranium and the Pelargonium, and plants of both childbirth are called often equally, however actually Geraniums are only the representatives of the sort Geranium growing in the wild nature. The houseplants belonging to the sort Geranium as a house flower can be met practically in each house, and also in such public places as kindergarten, school and policlinic. The name Geranium appeared only in the XVIII century, before, since the end of the XVI century, these houseplants called Geraniums, probably, this habit and became the reason of the developed confusion. Geranium. Geranium variety. Geranium cultivation.